If you’re reading this article, then there is good chance that you are searching for one of two things. You are either looking for information on Zija International as a business opportunity, or someone has told you about the companies line of health and nutrition products or their anti-aging skin care line. Just in the last few months, Zija has begun to create a buzz in the network marketing industry, but Zija is not a brand new company. In fact, the company has been around for about 5 or 6 years. But when it comes to their sales growth, the company is still relatively young and is still considered to be in its “ground floor stages”. Currently, the health and wellness industry is estimated to be more than a $500 billion per year, so there is an obvious market for the products that Zija sells. Whether you are thinking about purchasing Zija products as a consumer, or you are considering joining Zija as a distributor, I want to encourage you to read through this entire third party review to find out whether or not the company is FACT or FICTION. In this review I will go into information specifically about four things; Zija as a company, the Zija product line, the Zija compensation plan and, most importantly, the exact blueprint you will need to give yourself a huge advantage over every single other Zija Distributor that is currently marketing the Zija products if you decide that this company is right for you. IMPORTANT: If you currently do not have a have marketing system in place that you have TOTAL CONFIDENCE in, I would highly encourage you to check out the best attraction marketing system online today by CLICKING HERE! Let’s Get Right To The Point – Who Is Zija International Anyway? Zija is a health and wellness company that sells a line of weight management, energy and nutritional products, as well as an anti-aging skin care line – through the business model of network marketing. This business model is also referred to as direct sales, or multilevel marketing and is becoming a highly popular business model in today’s economy. This business model allows average people from all walks of life to start a business with little to no overhead and if they work their business diligently, they can create financial freedom in a relatively short period of time. Zija was originally founded by Ken Brailsford and a group of entrepreneurs in 2006 that each hold a stake in the ownership of the company. The corporate team consists of 3 main businessmen led by Ken Brailsford (founder and President), Rodney Larsen (Executive President) and Michael Hershberger (Vice President). All three of these businessmen have extensive backgrounds in the direct sales industry, and bring over 50 years of combined network marketing experience to the company. Currently, the company is headquartered in Linden Utah, but they are also doing business in the US, Canada, Mexico, China and Japan. Based on their current growth rate, you will most likely see the company opening up additional countries and expand their international presence over the next few years. What Does Zija Market Anyway? 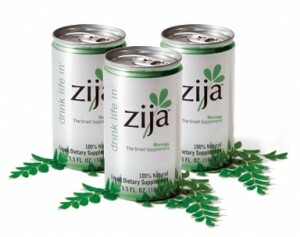 All of the health and wellness products that Zija markets contain a botanical called Moringa. Moringa is known as the most powerful and nutritious botanical on the face of the Earth. Moringa is an exotic plant that thrives in desert areas. It has been known through thousands of years as “The Miracle Tree” based upon it’s amazing medicinal properties. There is a tremendous amount of research that document the plant’s balance of antioxidants, minerals and amino acids. According to the company’s website, the Moringa plant has been used as early as 150 BC by several cultures including the Egyptians, Greeks, Romans and various Asian cultures. In addition, the company website states that there are 300 conditions known that the Moringa plant can help with. 1. The liquid nutritional line – Zija’s liquid nutritional line is made up of three products. The first one is their original, flagship product called The Smart Drink. The Smart Drink comes in small cans and contains a total of 90 different verifiable nutrients, vitamins, minerals, omega oils and, of course, the Moringa plant. The second product is a powdered version of the Smart Drink called Smart Mix, so it is easy for travel. You can simply add the Smart Mix to a bottle of water and shake it whenever you want. The last product is called XM3, which is Zija’s version of the 5 hour energy drink. This product has appetite suppressant benefits as well. 2. Weight management products – The flagship product in Zija’s weight loss line is a capsule called XM3. This product increases mental clarity, focus and increases energy. It also acts as an appetite suppressant. The second product is called Miracle Tea, which is a detox cleanse product. 3. Skin care products – Zija has developed a complete line of skin care products that are infused with Moringa extracts and are all -natural. If you take the time to do some research about Moringa online you will be able to get some basic knowledge on the plant and it’s benefits. If you are thinking about getting involved with Zija, it is important to be knowledgeable about this ingredient. You can find some great information about Moringa Oleifera as it is called at http://PubMed.org . With Zija, you can become a distributor by buying a distributor kit and an initial product purchase. After that, you will have to maintain a monthly auto ship order to benefit from the compensation plan. This is quite common in the network marketing industry and every successful company has the same types of policies. 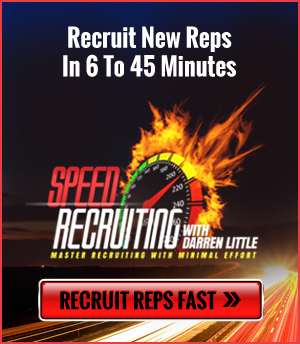 The compensation plan has several ways you can make money including direct sales commissions, team commissions, check match, different types of bonuses and even order rebates. It seems that there is a good balance between upfront income potential and long-term residual income potential. Is Zija A Good Opportunity? It appears that Zija is a very solid business opportunity. Zija is classified in the category of a “premium priced product” similar in the car industry to say a Mercedes Benz. The company has an experienced management team, quality products, a generous compensation plan and is still in it’s ground floor stages. If you’re looking to join a network marketing company that sells nutritional products, Zija might be for you. However, Zija Alone Will Not Make You Wealthy! What Zija provides is simply an opportunity and a vehicle. Your ultimate success will depend on your ability to sponsor new distributors, sell products and motivate and inspire your team into action. In order for you to succeed at building a lucrative Zija business, you absolutely MUST learn how to market and generate leads. Most people burn through their warm market within 30 to 60 days at the outset and then you will need to learn marketing strategies to have ultimate success. Leads are the fuel of every business and without leads, you will have an extremely hard time getting your business going. 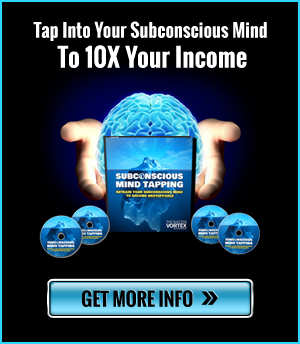 On the other hand, if you’re generating an endless flow of leads, you can very well be on your way to building a wildly successful business. Yeah, I want to increase my body strength. I studied reviews of different peoples as they suggested me for the zija product. I want to ask is it good for health? Zija carries a good product. It is categorized as a premium priced product and with the current state of the economy, if you are looking to hit the masses, price is very important. I have personally gone with http://www.XYNGULARCORPORATION.com since the product is about half the price and we are seeing much better weight loss results with the IGNITE FAT BURNING SYSTEM. thanks for the unbiased review and overview of the company. its a good article and there is no advertising in it. this is very helpful in determining who is, and who is not a valid company to consider. While others will have claims about a product you’ll notice Zija makes no such claims. No AS SEEN ON TV and certainly not targeting any specific area. just overall wellness. I have been on zija for a little over 3 months and have lost 48 pounds. I feel energetic and healthy and the step are very eazy to follow. I feel like you cannot put a price tag on health. Three of my other friends are also paveing their way to success. In the beggining i was very questionable of the product but now i know how amazing zija is. Its a product i dont mind takeing either. I am confused Russ Bionti says to stay on any prescribed meds, for instance high blood pressure meds, yet when severe bronchitis occurred and the family doctor prescribed cough syrup, steroids., antibiotics zpac, prednisone….he was upset over it and said these things are toxic, and needed to cleanse the system now to get it back in order. For bronchitis he said seasalt and water mix, heated, then cooled to be sprayed into nasal ??? not these toxic prescriptions. I have been having some challenges with my Liver and Russ Bianchi told me to stop drinking the Smart Drink, because if my liver was not working properly the detox effect of the product would make me highly toxic. Clearly this “3rd Party Review” was written, in fact, by Zija. Do they think we are really that naive and stupid – or is that the audience they are trying to reach?! is zija healthy and if youre a heart patient and on heart med should you take zija ? Like anything, its always best to consult your doctor. Absolutely. Take Zija every day. Place in fridge night before. Use half as soon as you wake up and the other half about 3ish. Roy, First: You never want to use food-formulation salts or tap water. Use a Neti pot with the appropriate salt that won’t over-dry the delicate nasal membranes and use filtered water so there won’t be any chlorine to irritate the membranes as well. Over-dry membranes will cause nosebleeds and irritated membranes will produce MORE mucus — defeating the purpose. Second: Just a spray is not enough volume unless the spray is a gel. Besides a liquid spray will just run down the back of your throat and cause further irritation. Third: The way treating the nasal passages can help bronchitis is that sometimes the offending bacteria and viruses that cause the bronchitis come from the post-nasal secretions as they head south. part of moringa tree. Moringa leaf powder is rich in nutrition and vitamins. Tahitian Noni sure does have a lot of wannabe copycats out there. I love the NONI. It is simply the best! Morinda and Moringa. Muur science is needed. That’s great Wendy! I’m glad zija helped you lose all that weight. I’ve seen similar results myself. The guy that told me about it lost 97 pounds in 8 months just by taking zija. Not to mention I lost 15 pounds in 3 weeks. Can anyone say Booo-gus This is obviously gamed search engine placement with a planted rah-rah section of “Success Tales”. Fatal interaction? And your are qualified clinician? The contents of the Moringa Oleifera tree are well documented by such organizations as John Hopkins, Duke, and Purdue Universities and many others. If the truth were known, your probably work for big Pharma! its simple very simple, all you have to do is eat right, No fat foods (fast foods), and exercise. 90% Proper Diet 10% Exercise and you can be fit. I’m age 28 at 169 Pounds solid muscle 5foot 8inches, workout 5 days a week, and EAT HEALTHY. (Gotta Be Military Fit) Most Americans are just Fat Lazy people, and want a Quick fix (Easy way out). Go to a Gym and ask for Help, see a personal trainer, and a Nutritionist and stick with it. Problem Solved America. Amazon you can find Zija Cheaper by the way.